“Carro viejo” by Alfredo De Ángelis y su Orquesta Típica, vocals by Julio Martel, 1949. Bandoneonist and composer (27 June 1903 – n/d). Buenos Aires. In his beginnings he attracted the public attention because of his mastery in guitar playing, with a thorough command of its intricate technique. He had outstanding appearances in our main theaters. He appeared at the Victoria with the theatrical company led by the Podestás. Also at the El Nacional, accompanying the actor and singer José Cicarelli and Ignacio Corsini at the Apolo. He was later the guitarist that accompanied the Cicarelli-Fernando Nunziata duo. 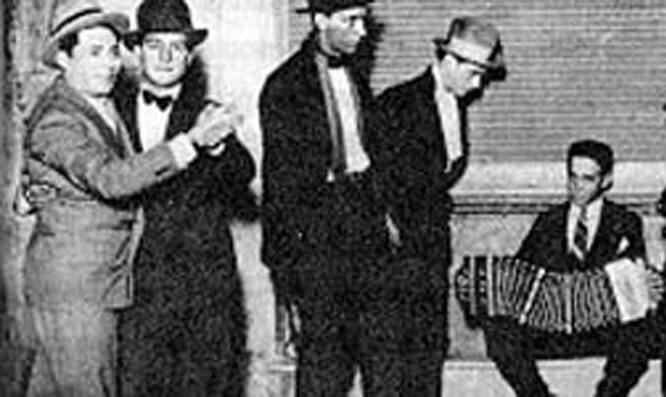 By 1925 he gave up guitar playing to fully devote himself to study bandoneon. Continue reading.